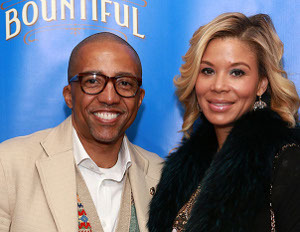 Entertainment and media entrepreneurÂ Kevin Liles today announced his new venture, Go N’Syde — the official beverage of four-time Tony Award nominated Broadway production, The Trip to Bountiful. As a precursor to launching this fall, the new media and beverage company signed on for a unique opportunity to create an exclusive flavor inspired byÂ her character in the play. Liles also serves as a Producer of this classic play byÂ Horton Foote, which features an all-star cast currently on a limited engagement run throughÂ September 1, 2013. The drink hopes to transport theater-goers to the hometown roots ofÂ Carrie Watts, the character played byÂ Cicely Tyson. Go N’Syde: Carrie’s Bountiful is a Southern-style blend of cinnamon-spiced strawberry lemonadeÂ exclusively available toÂ The Trip to Bountiful patrons during the recently extended 22-week Broadway run. The drink is the first in a series of one-of-a-kind flavors associated with cultural events and icon within the play. As previously announced by the production team, The Trip To Bountiful stars Academy Award nominee and Emmy Award-winning actress Cicely Tyson–celebrating a return to Broadway after 30 years, Academy Award winner Cuba Gooding, Jr., ( Jerry Maguire, Red Tails), Emmy Award nominee and recording star Vanessa Williams (“Ugly Betty,” “Desperate Housewives”), and Tony Award nominee Condola Rashad (Lifetime’s “Steel Magnolias,” Broadway’s Stick Fly).